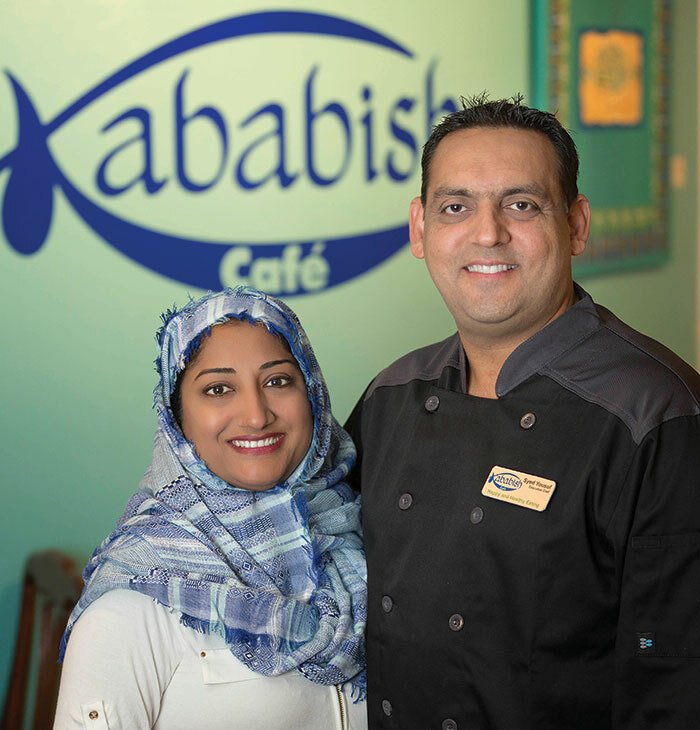 Samreen Nawaz and her husband Syed Yousuf opened Kababish Café in 2015 and have built a strong fan base in the community, winning the Maggy Award for Best Indian Restaurant in 2018 and an honorable mention in the same category in 2017. The two are natives of Pakistan, by way of New York and Maryland, and their restaurant menu of “kababs and more” reflects those cosmopolitan tastes. How did you end up in Cary? N: We went on the Internet, and typed in, “What are the best places to live in the United States?” and it came up — Cary, N.C. — voted by Forbes, Fortune and Money magazines. We came, looked at it, bought the house and here we are after 11 years. What makes Kababish stand out? N: On our logo it says, “Happy, healthy eating.” We want you to be happy, but also to be healthy … People recognize that if there’s an allergy or dietary restriction, they can come to Kababish. We can take care of you. If you look at our menu, we have a full selection of vegetarian dishes with okra, eggplant, spinach, lentils and chickpeas — all fresh, not frozen. 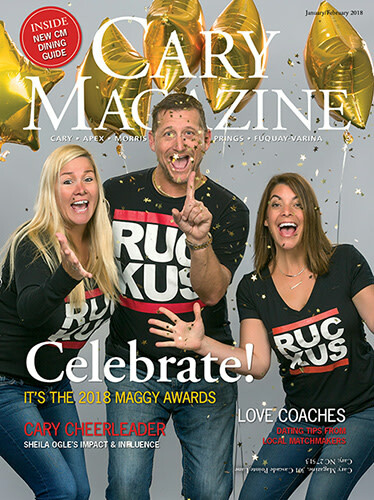 What does the Maggy Award mean to you? N: What distinguishes us is the spices and how Yousuf creates those spices in the dishes, and how they dance on your palate. If that’s the category they put us in, we’re happy for it. When they come through the door and look through the menu, I want them to see that it’s more than Indian — it’s Indian-Pakistani-Mediterranean cuisine! Winning the Maggy Award, we are honored, humbled and grateful. I appreciate all my customers who walk in through the door. We are grateful they have chosen us. Y: Haleem — this is my favorite, I enjoy it every time I can eat it. I never get bored with it. And chicken biryani and chicken bihari kabab. Those three things. N: He took my dish. Haleem has been my favorite dish since I was a kid. It’s a thick, hearty soup with shredded chicken and lentils. It’s my favorite dish, so we’re going to have it on the menu! Other than your own restaurant, where is your favorite place to eat? Y: One is close by, Bosphorus, and one is in Briar Creek, Flame Kababs. It’s a different type of food than we eat; it’s Persian food. Also Bamboo Garden is Indian-Chinese, so it’s a little different flavor. N: Sometimes it’s not even about food. It’s about the ambiance, the décor. At Sitti, the Lebanese restaurant in Raleigh, I love the pictures of the grandparents all over. I love sitting there and relaxing when I go there.